Brain imaging efforts are being increasingly devoted to decode the functioning of the human brain. Among neuroimaging techniques, resting-state fMRI (R-fMRI) is currently expanding exponentially. Beyond the general neuroimaging analysis packages (e.g., SPM, AFNI and FSL), REST and DPARSF were developed to meet the increasing need of user-friendly toolboxes for R-fMRI data processing. To address recently identified methodological challenges of R-fMRI, we introduce the newly developed toolbox, DPABI, which was evolved from REST and DPARSF. DPABI incorporates recent research advances on head motion control and measurement standardization, thus allowing users to evaluate results using stringent control strategies. DPABI also emphasizes test-retest reliability and quality control of data processing. Furthermore, DPABI provides a user-friendly pipeline analysis toolkit for rat/monkey R-fMRI data analysis to reflect the rapid advances in animal imaging. In addition, DPABI includes preprocessing modules for task-based fMRI, voxel-based morphometry analysis, statistical analysis and results viewing. DPABI is designed to make data analysis require fewer manual operations, be less time-consuming, have a lower skill requirement, a smaller risk of inadvertent mistakes, and be more comparable across studies. We anticipate this open-source toolbox will assist novices and expert users alike and continue to support advancing R-fMRI methodology and its application to clinical translational studies. The authors appreciate the editorial assistance and support of Dr. Francisco X. Castellanos. Dr. Zuo acknowledges the funding support from the National Basic Research (973) Program (2015CB351702). Dr. Yan and Dr. Zuo acknowledge the support of the Hundred Talents Program of the Chinese Academy of Sciences (CGY: Y5CX072006; XNZ: Y2CS112006) and Beijing Municipal Science & Technology Commission. Dr. Yan and Dr. Zuo are also members of the international collaboration team (under its trial stage with PI: Dr. Xun Liu) supported by the CAS K.C. Wong Education Foundation. Dr. Zang is partly supported by “Qian Jiang Distinguished Professor” program. DPABI is hosted at the R-fMRI Network (http://rfmri.org), which is a non-commercial resource for the R-fMRI community. Fair, D., Nigg, J.T., Iyer, S., Bathula, D., Mills, K.L., Dosenbach, N.U., Schlaggar, B.L., Mennes, M., Gutman, D., Bangaru, S., Buitelaar, J.K., Dickstein, D.P., Di Martino, A., Kennedy, D.N., Kelly, C., Luna, B., Schweitzer, J.B., Velanova, K., Wang, Y.-F., Mostofsky, S.H., Castellanos, F.X., Milham, M.P. (2012). Distinct neural signatures detected for ADHD subtypes after controlling for micro-movements in resting state functional connectivity MRI data. 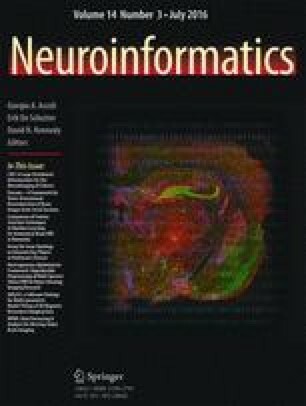 Front Syst Neurosci, 6, doi: 10.3389/fnsys.2012.00080. Yan, C.G., Li, Q., Gao, L. (2014). PRN: a preprint service for catalyzing R-fMRI and neuroscience related studies. F1000Res, 3, 313, doi: 10.12688/f1000research.5951.2.